Children beginning at the age of 3 enjoy our preschool program which is an extension and expansion from our toddler program. 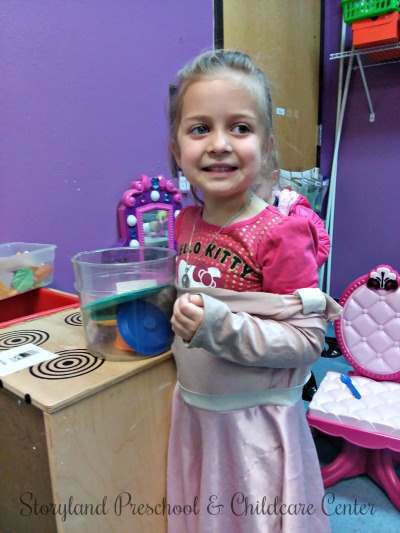 At Storyland, we have five classrooms, two younger preschool classrooms and three older Pre-kindergarten rooms. All share the same high quality DLM Curriculum, and focus on quality activities that prepare the young learner for kindergarten. Each child is unique and our program understands this and tailors learning experiences to meet the needs of every student. Children enjoy a wide range of learning experiences all provided in a structured, nurturing environment. Children enjoy learning all the skills that lead up to reading on their own. Whether children are indoors or out, they are learning all the time. 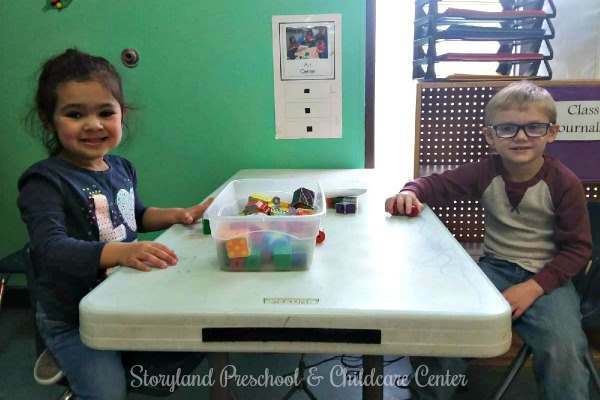 At Storyland we capitalize on children's natural curiosity and motivation to learn by providing a stimulating environment with many choices and opportunities to engage in meaningful learning tasks. Children participate in large group, small group and individual pursuits in all areas of interest. Classrooms are set up into small sections or centers devoted to a separate type of learning. Here children can choose activities such as math and science games, Alphablet, writing, art, computer learning, pretend and learn or music. We believe that it is important to address the needs of the whole child, so we provide activities that not only stimulate the brain, but exercise the body and feed the soul. We encourage cognitive, social, emotional and physical development. We participate in the Texas School Ready Project that provides curriculum materials, classroom equipment, mentoring and training for our teachers. We follow the State of Texas, Pre-kindergarten curriculum guidelines that delineates what children should know before entering kindergarten. You can be assured that at Storyland, your child's education is in good hands. Play is purposeful and teachers are ever mindful of individual's needs. We believe that education should be based on what the industry considers "best practices" and our program is state of the art. Storyland has four preschool/pre-kindergarten classrooms broken down to two preschool classrooms and two pre-k classrooms. 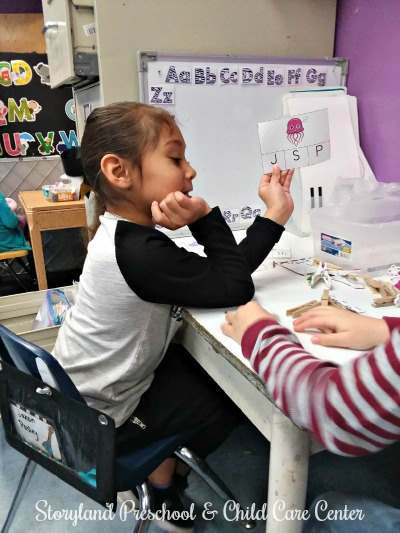 Preschool classrooms are for the younger preschool children and the two Pre-K classrooms are intended for children who will be entering kindergarten in the following school year. We serve a nutritious Breakfast, Lunch, and a healthy snack each day. To be able to operate such a high quality meal service, we depend on help through the CACFP (Child and Adult Food Program). 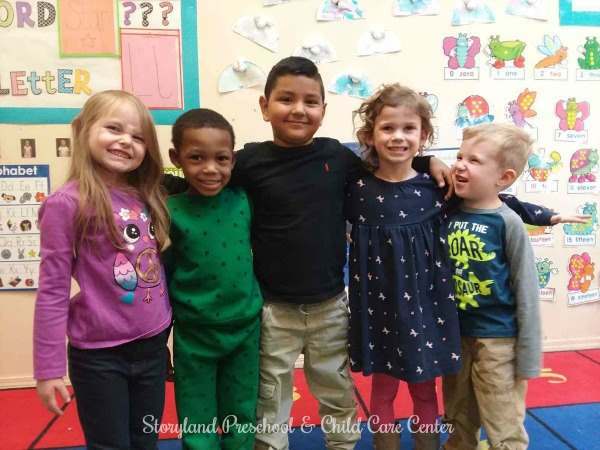 This is a federal program, administered through the State and provides some reimbursement for meals served in Child Care Facilities like Storyland Preschool. To participate in this Food Program, children will need to be in attendance during the hours that meals and snacks are served. There are many rules and regulations that govern this government program and Storyland depends on the program to provide a superior food service for your child. One very important regulation that we must follow is the timing of meals. Children must be present at the facility at the time meals are served. Unfortunately, we are unable to serve a meal to your child if he is late to school. Due take this into consideration when planning your daily schedule. 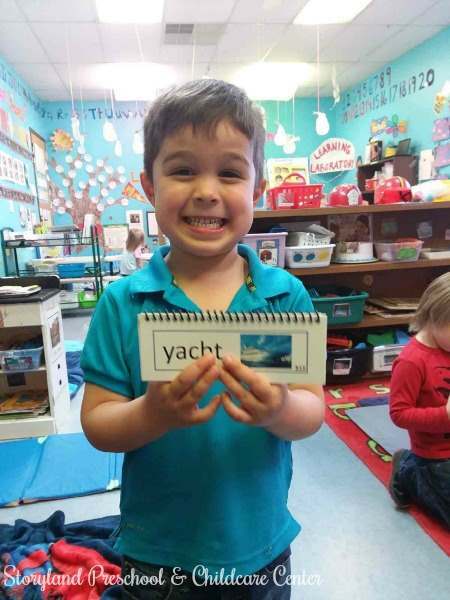 Children are learning to recognize letters and beginning letter sounds.